Picture of typical Romaine lettuce. Just days before Thanksgiving, the Centers for Disease Control and Prevention issued a major warning against consuming Romaine lettuce. The agency sent out this warning due to a recent outbreak of E.coli, a bacteria found in the environment, food, and the intestines of people and animals. In this recent outbreak it was found in Romaine lettuce. Restaurants and anyone who was in possession of the lettuce were advised to throw it away right away and sanitize the area in which it was stored. 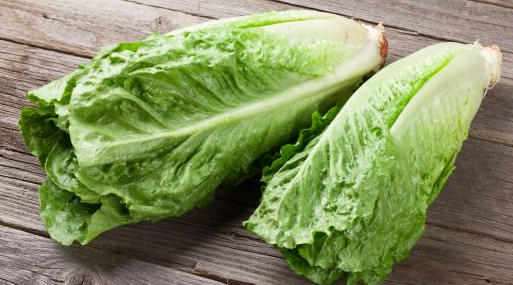 The CDC and the Food and Drug Administration concluded that the outbreak was caused from Romaine lettuce grown in the Central Coast region of Northern and Central California. If the lettuce is grown anywhere else it is still considered safe to eat. Currently there are 43 cases in 12 states of people falling victim to E.coli in the lettuce; fortunately, there have been no reports of death. Unfortunately this isn’t even the first outbreak of E.coli from the lettuce. An outbreak occurred earlier this year from March to June. During the outbreak 210 people were sickened and 5 were killed. Due to these outbreaks the top companies in the lettuce industry have all agreed to add a label to their product of where it was grown. Romaine Lettuce has been a huge health factor this year and unless something is figured out soon this issue could continue for a long while.